I often receive phone calls from renters seeking a long-term Emerald Isle beach front home or condo. I’ve found most of these inquiries come from younger couples especially military couples stationed at Camp LeJeune who are looking for a long-term rental. A few of things occur during these calls. I feel it is my first responsibility is to help educate those who call about locating a rental property on Emerald Isle. Many renters are unaware of the higher costs associated with renting property on Emerald Isle. Emerald Isle’s location is far more desirable than a rental property located on the mainland in Jacksonville, Cape Carteret or Swansboro. Second, many callers have a dream of finding a long-term condo or single-family property rental right on the oceanfront never giving thought those situations are so few (if not impossible to find). Why? Let me explain. For an Emerald Isle property owner, they prefer to have their vacation property rented for short-term rentals driving higher rental rates. Obviously, higher rentals rates occur during the desirable peak summer months. It’s a simple matter of economics. This is especially true for those properties located on or near the oceanfront or along the Bogue Sound. Move slightly away from the beach or sound and the likelihood an Emerald Isle property can be rented for a year or longer becomes more economically feasible for both the property owner and the potential renter. Just keep in mind, long-term Emerald Isle rental units will always incur higher rental rates than rental properties located on the mainland. It’s all because of the law of the supply and demand, desirability and higher property values. And property on Emerald Isle is very desirable! 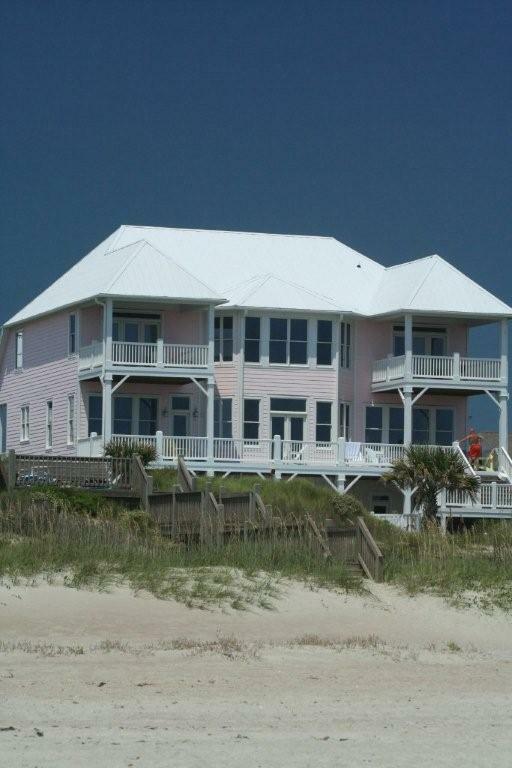 What has been your experience renting long-term rental property on Emerald Isle? Be the first to leave a comment. Its been my experience that one can find long term rentals in Emerald Isle…but they are pricey and very limited in quantity. If you have a pet, you may as well forget about it as the few that you will find likely do not allow pets. But they do exist. When I first moved here I found a second row oceanview apartment for $550/month that was pet friendly too. This was several years ago though.